Five ethnic armed groups have this week set up what they have named as a “federal army” with the aim of defeating the Burmese army and toppling the military regime, a representative of the alliance told The Irrawaddy on Saturday. After a four-day meeting in Mae Hong Son in northwestern Thailand, a Mon representative confirmed that five ethnic armed groups—the Karen National Union (KNU), the Kachin Independence Organization (KIO), the New Mon State Party (NMSP), the Karenni National Progressive Party (KNPP) and the Chin National Front (CNF)—had agreed to form a political and military alliance. The representative said that they plan to invite other ethnic armed groups to join the federal army. He said they will also cooperate with democracy activists to build a future federal state in Burma. 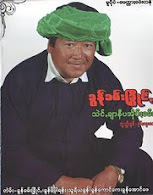 The Committee for the Emergence of a Federal Union will be headed by Maj-Gen N'Ban La Aung of the KIO. The deputy chairman of the committee is to be Gen Mutu Say Poe of the KNU, with Nai Hang Thar of the NMSP as general secretary, and Shwe Myo Thant of the KNPP as joint secretary. He said a decision has not yet been reached on where to base the federal army headquarters. However, another source said he believed that the federal army will base its headquarters in Shan State where it can attain supplies more easily from the United Wa State Army (UWSA), which is the largest ethnic army in Burma with a fighting force of up to 30,000 men. The UWSA is also known to deal in arms. In preparation for an attack by government troops, each ethnic army will share areas of responsibility with neighboring allies—such as the KNU will do with the NMSP. The NMSP, the KIO and the UWSA were until recently under a deadline to transfer their battalions into border guard forces (BGFs) under Burmese army command. A faction of the Democratic Karen Buddhist Army (DKBA) Brigade 5, led by Col Saw Lah Pwe, is the only battalion within the DKBA that has to date rejected outright the BGF order. He said the Burmese authorities have put pressure on his group to give up its territory. He said that his troops are ready to resist any belligerent action by government forces. He said that Sunday's general election will bring neither democracy nor civil rights for Burma's ethnic people. Instead, he said, the junta will try to eliminate the ethnic minorities in the wake of the election. Some of the ethnic groups, such as the KNU, have been fighting against the Burmese army continuously since Burma gained independence from Britain in 1948.